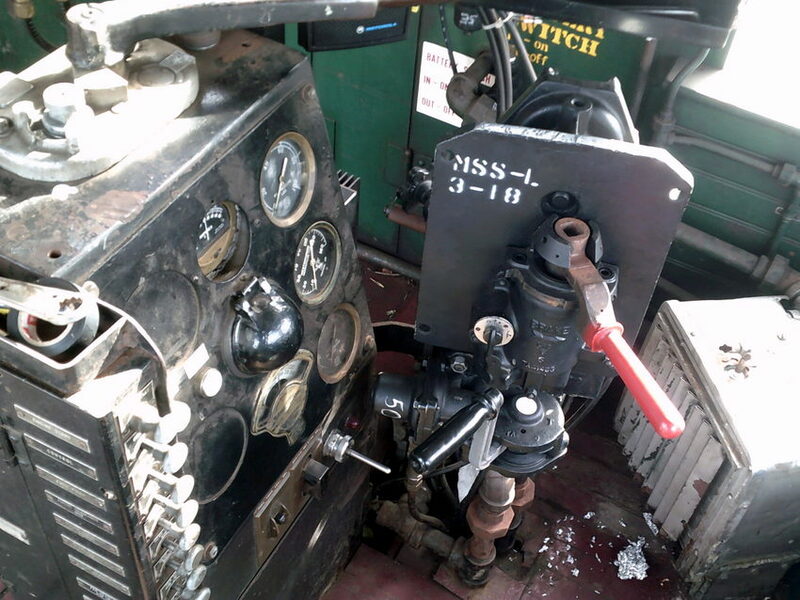 A look at the operating controls of CACV Alco S-4 #102. The locomotive is a little different from a standard S-4 as the unit is mu capable and the brake system has been upgraded to the more modern #26 brake equipment which is far different from the current Canadian built units the railroad operates that are non mu capable and have the older #6 brake equipment. Photographed by Peter Lazaris, November 4, 2018. Added to the photo archive by Peter Lazaris, November 5, 2018.